July was another whirlwind. A lot of good and a lot of fun was crammed into this month and at the same time, personally, a lot of struggles. 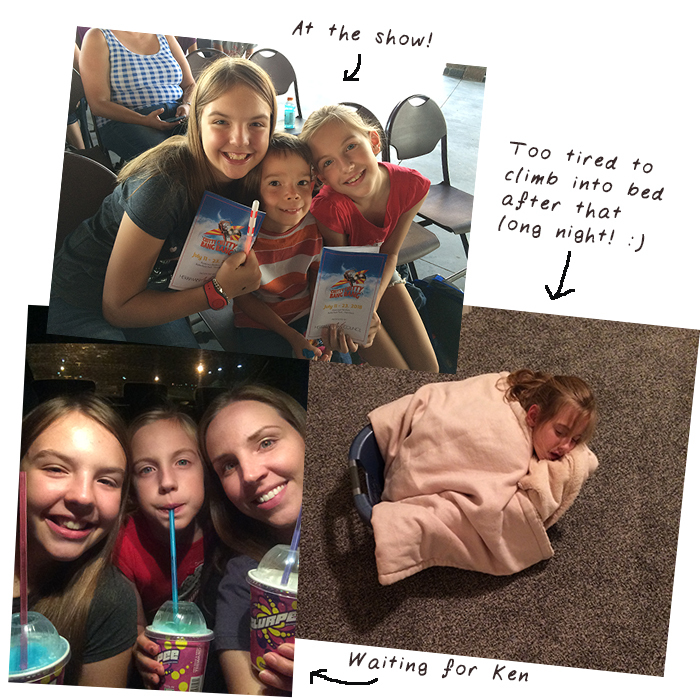 This post will focus on all of the fun and the good! 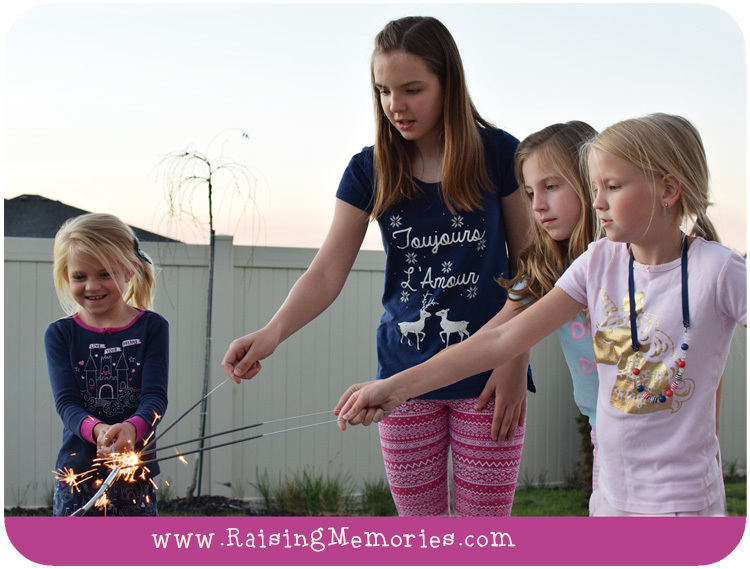 The night before Canada Day (July 1st), we went over to my sister's house & all of the girls did sparklers together in their pajamas, to celebrate. Shortly after my parents arrived, Ken's parents also came to Utah (along with all of his siblings & all of the cousins). 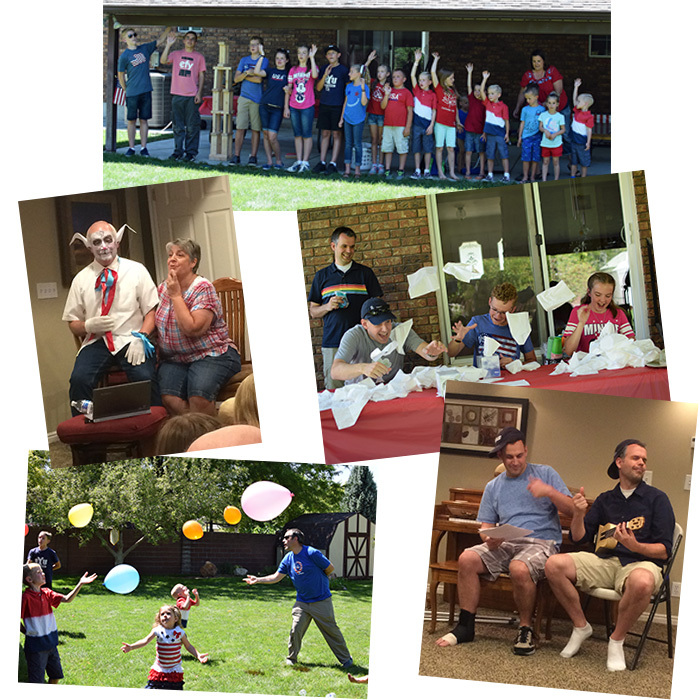 There was a week of reunion activities for his side of the family that was at the same time as my parents visited. It was tricky to balance all of the events- it would have been fun to be able to attend everything! With Ken's family we managed to go swimming, have a few dinners (picnic, buffet, and restaurant), play fun reunion games outside, do a talent show, go on an adults-only date night, the youth went to the temple, and more! 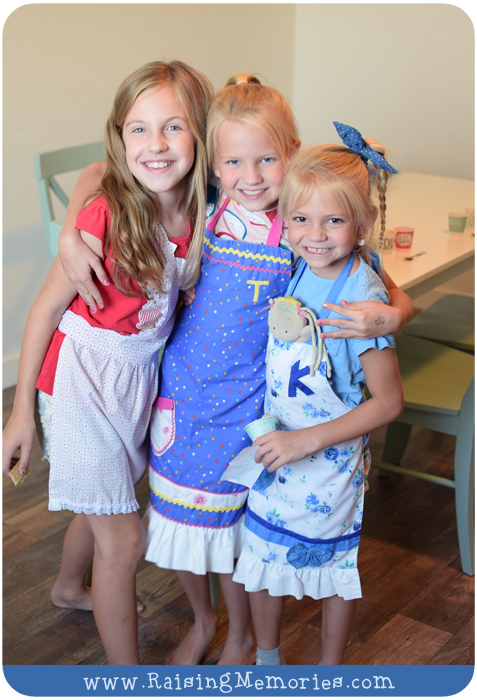 Best of all, the kids got to spend time with their cousins having a wonderful time! I love the way they get along and seem to just merge right into best-friend mode when they're together. 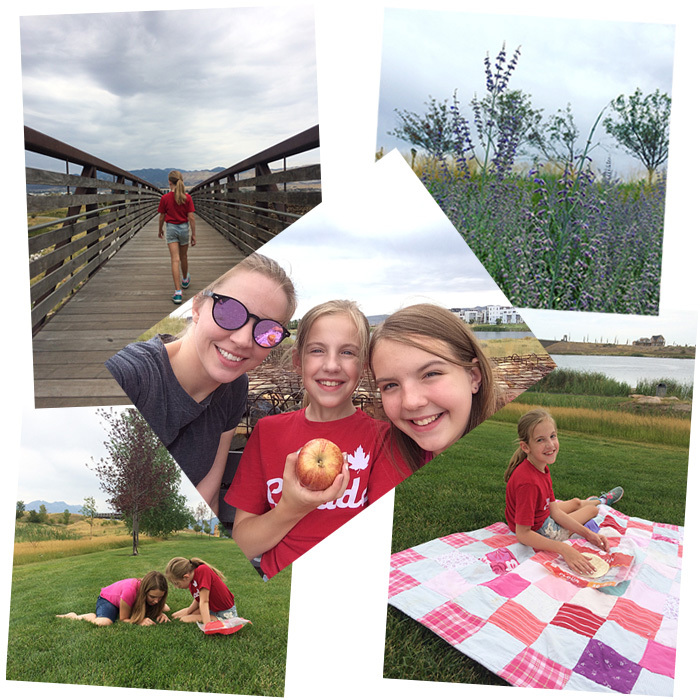 With my family, we went to a movie, a pool, a park, and did some projects around our house. I went on a "date" with my mom and my dad took Katrina on a "date" to do some shopping & try some new treats. My parents took Talia out to get some snacks to take with her to Girls' Camp. My sister & I also took my mom out for dinner for her birthday. Talia went away for 3 nights, for her first Girls' Camp. 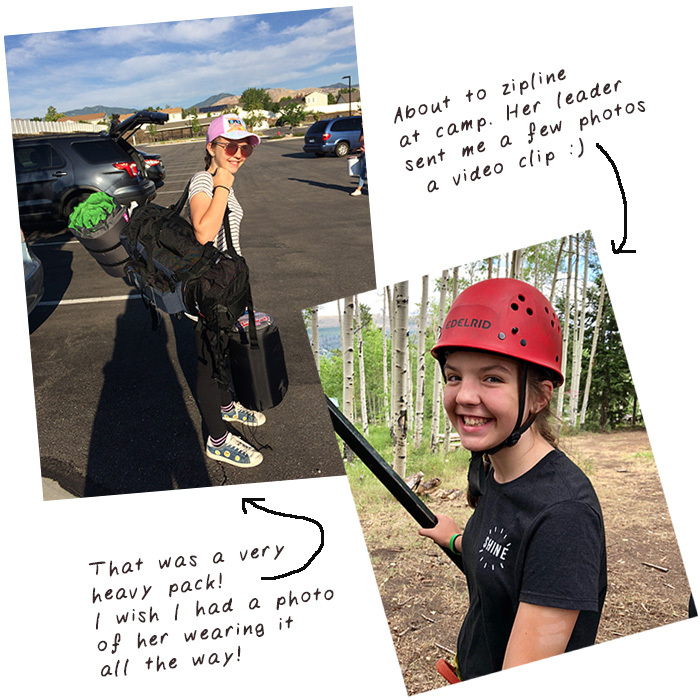 I have such great memories from my time at Girls' Camp so I was excited for her, and a little nervous at the same time, to send her off to camp in a new place, with new people. She has some great leaders though, and is meeting lots of great young women. She came home very happy with lots of fun stories to tell! Part way through our parents' visits, Ken started having some really bad problems with his ankle. We're still not entirely sure what caused them. He had been walking weirdly on his foot because of some pain in the arch/heel of his foot from a previous event, so maybe that was wearing on his ankle & just suddenly became too much- we're not sure because there was no moment of injury- he just woke up with a very swollen ankle one morning! 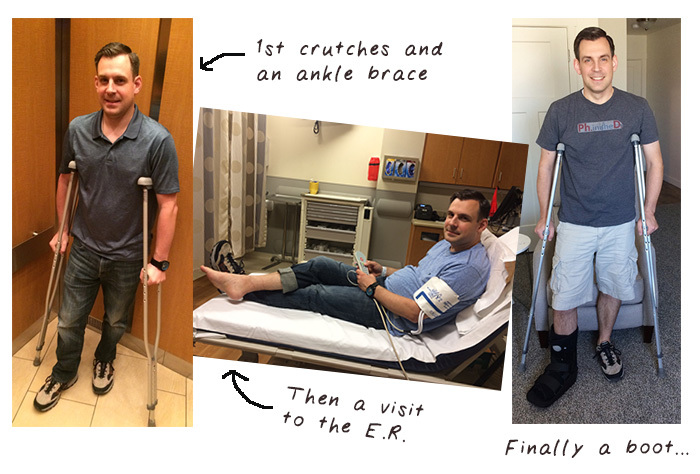 Then another morning, an extremely swollen foot (to the toes), and after many tests: X-rays, an MRI, and ultrasounds, he ended up in a boot with crutches by the end of it all. He's still on crutches & wearing the boot, with less swelling, but still dealing with pain & swelling, hoping it settles down enough soon, so that he can start physical therapy. After our families left, we continued to find things to discover in Utah, and friends (old & new) to visit with. One of the highlights was paying a little visit to the real "Up" house! Before we moved to Utah, I was the Activity Days leader for girls age 8-11 at church. We would run activities for the girls twice a month. Now that I'm in Utah, I'm doing the same thing for the Activity Day girls here! There are a lot more girls in our group though, so I focus on the girls age 8-9 which is fun because Katrina's in that group! We went to a day camp this month and I loved being able to watch her and be there for her. She got to try a lot of new things! 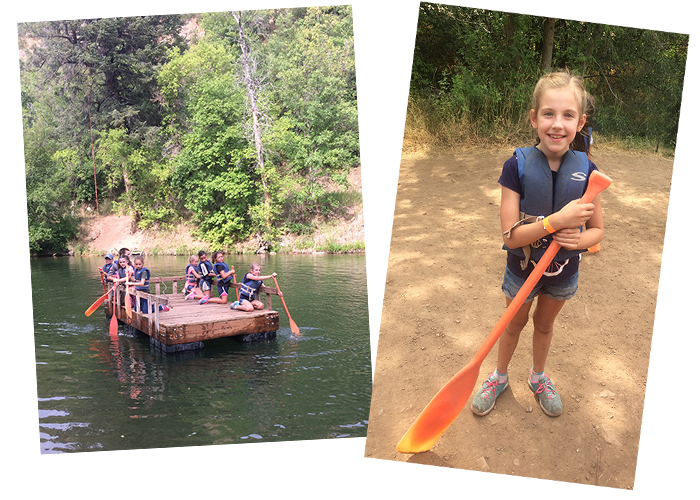 They used BB guns, went boating, did archery, played "frontier games", used sling shots, and more! Katrina has been super ambitious, coming up with plans and ides for her own business. 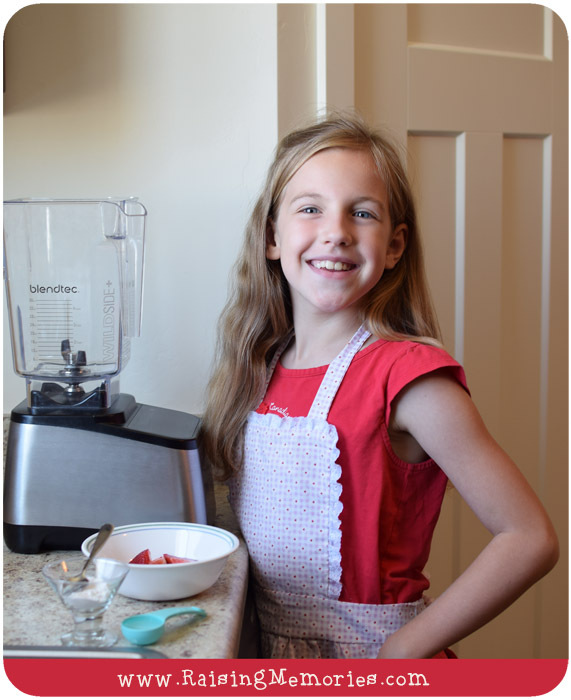 She's been experimenting in the kitchen and coming up with recipes, decided on a name for her business, made website plans, invited her cousins to be employees, and even planned a grand opening celebration (complete with ribbon-cutting, and samples of the menu items)! 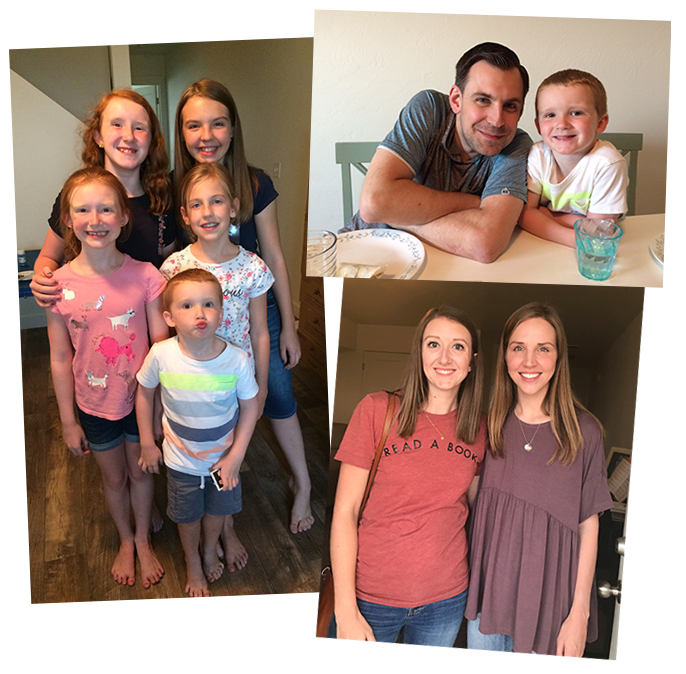 Although the girls have had an extended summer vacation because of the time of year that we moved, it still feels like summer will end way too soon! We've only got 3 weeks to go before they start school. We have no concrete plans for August, but I'm excited to see how it all unfolds and I hope to fit a lot of fun into it! I went to a folding towel demonstration when I went on the crusie the last time. It was great fun. I don't know if I could make the things they taught us, but I did video it all. Your girls are beautiful Heather. Your husband and his siblings all have the very same smile. That's pretty cool actually. Looks like you are all doing very well. Happy yo see that. I had no idea there was a real UP house but that's awesome that you were able to visit it. Thank you Paula! :) I know- I think it's so cool! They actually recreated the interior too, and the people who live there now have kept it true to the original design! What a wonderful month you had. I love the zip lining. i tried it once it's hard but fun. Thank you :) Yeah, I'll have to try zip lining sometime too! Family time is so important! I'm glad you guys got to visit with both sides. I'm sorry about Ken's ankle. How is he doing now? I feel his pain literally since I have a fused ankle. 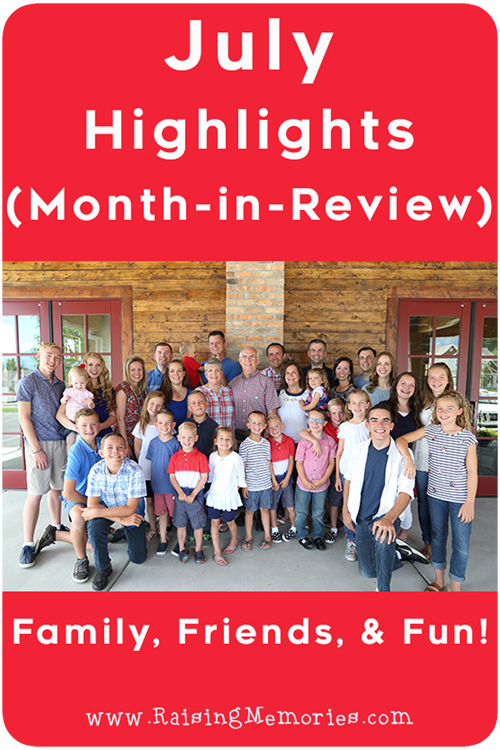 You had an eventful July! Wow, what a fun and full month!! Thanks Salma! :) Yes, I guess that's how summers tend to go- I'm grateful for all of the good! Isn't that cool?! Oh, I'm so sorry to hear that you started August that way! I hope it wasn't too serious! Sounds like you guys had an amazing month! Hope your hubby is feeling better, but that "UP" house,though!! I would have loved to see that. Thanks for sharing your adventures with us! Sounds like an eventful month, to say the least. Katrina's towel folding skills are amazing! 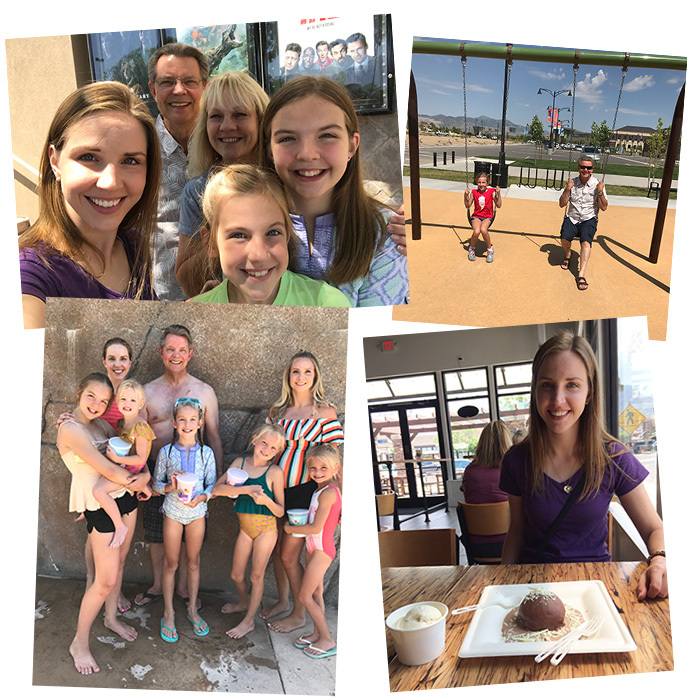 Lots of adventures in July! I can't believe it's August already. Time to soak up every last bit of summer while we can! I know!! I'm sad that we're looking at the end of the summer! 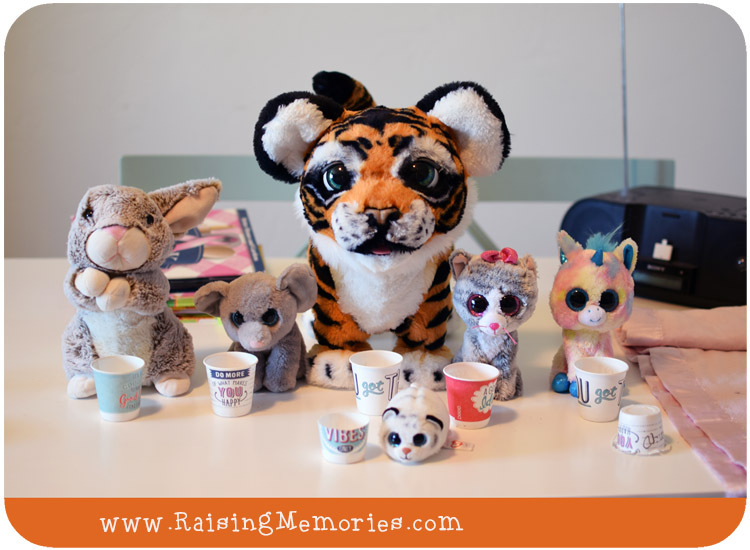 Oh my goodness - so many fun adventures and stories! 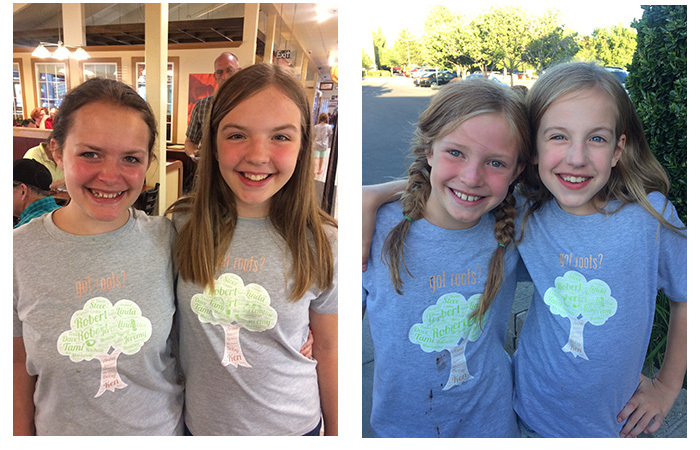 Did you make the "Got Roots" shirts? They're so cute!!! 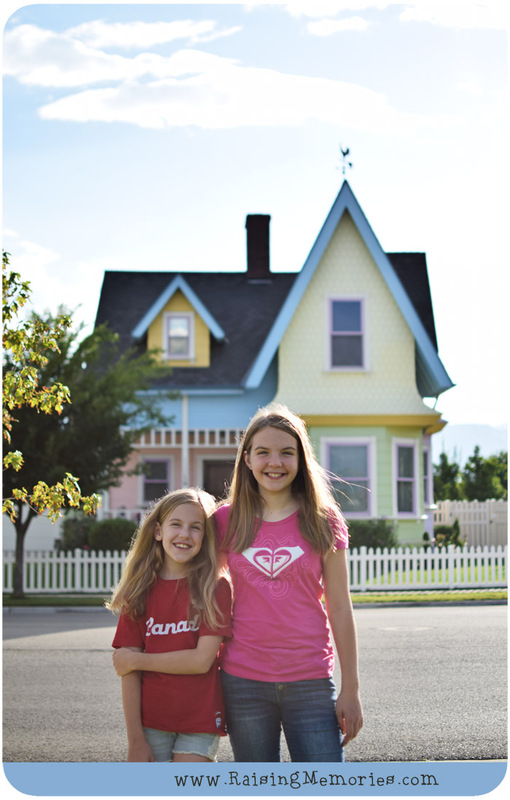 Omg you got to see the real "UP" house?! so jealous!! Yes! It was so good! Someone lives in it, otherwise it would've been so cool to see the inside- it's actually like the "up" house inside too! 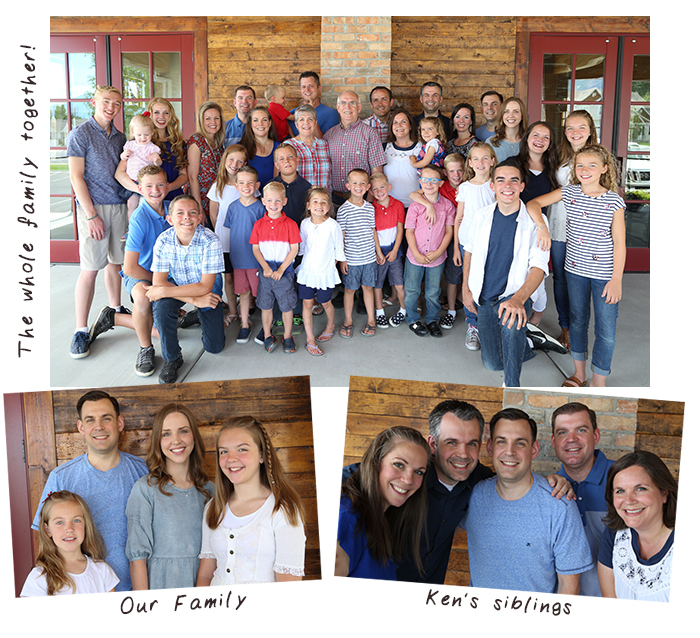 It's amazing getting together with the whole family,photos are fantastic! Those swans are such a nice welcome! I can't believe you made them!